November 2011 marks the completion of Sarpi Border Checkpoint. 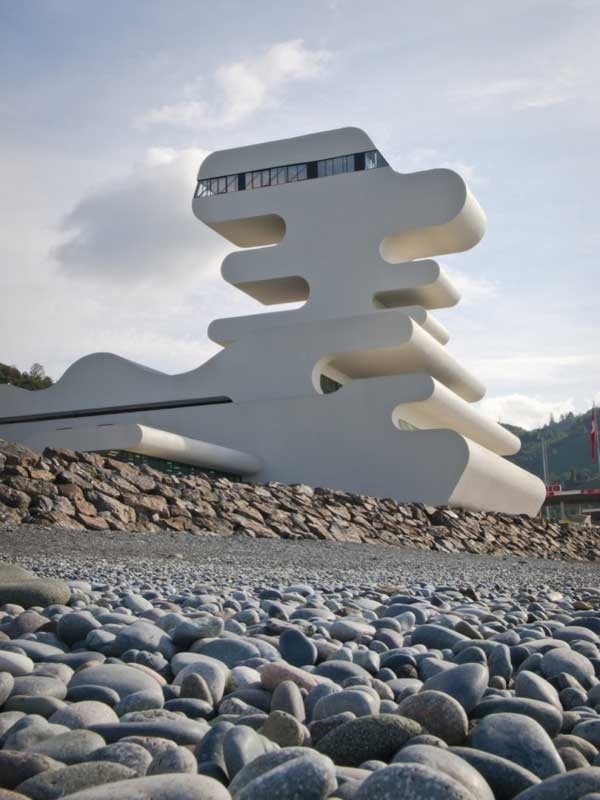 Designed by J. MAYER H. architects the customs checkpoint is situated at the Georgian border to Turkey, at the shore of the Black Sea. With its cantilevering terraces, the tower is used as a viewing platform, with multiple levels overlooking the water and the steep part of the coastline.